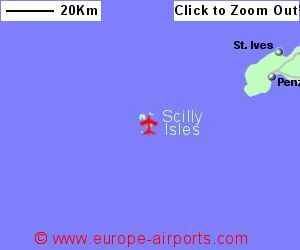 It is possible to walk from the airport to Hugh Town, and taxis are available that will take you and your luggage anywhere you want on the island - nowhere will be more than 3km! Passenger throughput at St Mary's airport was 92,000 in 2017, a 3% drop compared to the previous year. 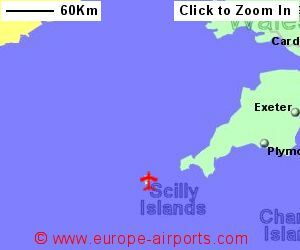 Sorry but we do not have any details of flights from St Marys Airport to the rest of Europe.